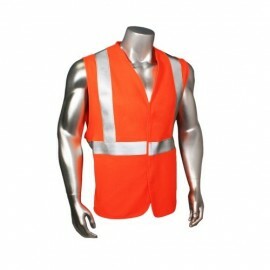 All our Class 2 Safety Vests are ANSI Certified. 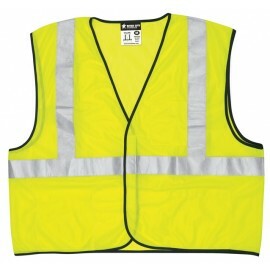 Class 2 provides for the use of additional amounts of high-visibility materials, which may allow design opportunities to define the human form more effectively. 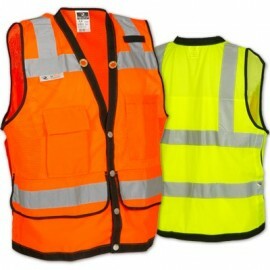 Class II Safety Vests are ideal for day and night use and anywhere high visibility is a priority.All our Class 2 Safety Vests are ANSI Certified. 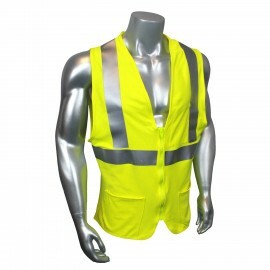 Class 2 provides for the use of additional amounts of high-visibility materials, which may allow design opportunities to define the human form more effectively. 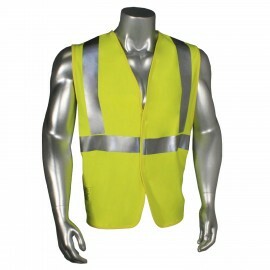 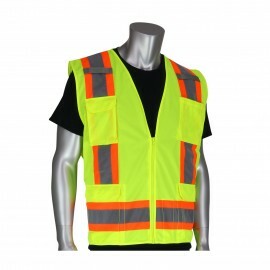 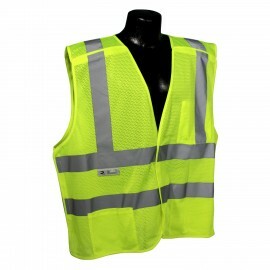 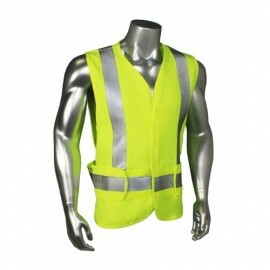 Our selection includes a wide variety of reflective safety vests that are ideal for traffic, construction, airports, emergency response, law enforcement, utility workers, survey crews, railroad workers and more. 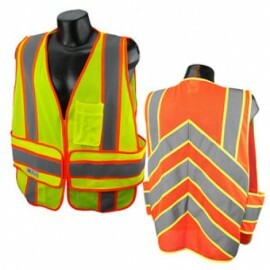 Most styles are available in high visibility orange, green and yellow. 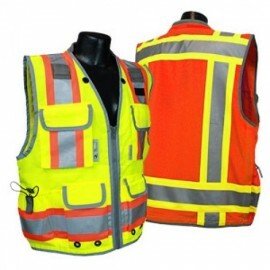 The American National Standards Institute created a set of guidelines for selecting and using high visibility safety vests and other clothing. 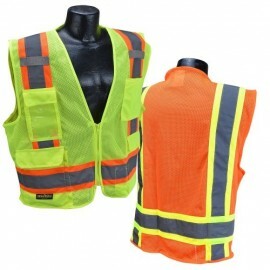 These standards were broken down into three classes. 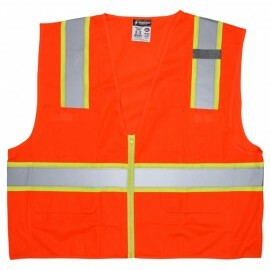 Class 2 high visibility safety vests are required for workers who are working near roadways where cars travel at speed exceeding 25 mph and also need to be seen in poor weather conditions where visibility is limited. 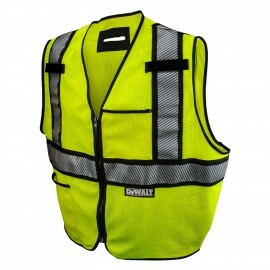 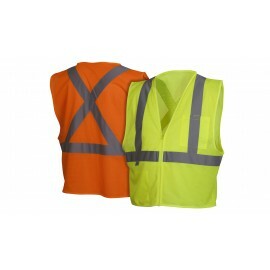 Safety vests must consist of a minimum of 775 square inches of hi-vis material and are also are required to have 201 square inches of reflective tape. 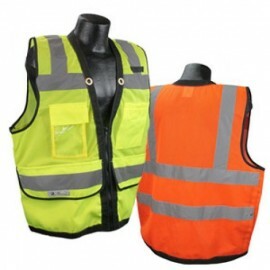 We carry a wide selection of Class 2 safety vests made by Radians an industry leader in the production of high visibility clothing. 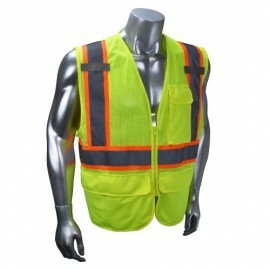 We only carry the best and our safety vests are guaranteed to keep you safe and are built to last. 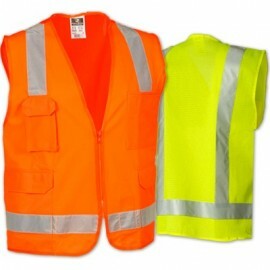 For more information on the ANSI Standard for high visibility safety clothing, please check out our blog.